On Monday morning 17 October, Orange customers who tried to access Google.fr, fr.wikipedia.org and other sites found themselves being redirected to the site of the Interior Ministry explaining that those sites were blocked. The banned websites were accused of “provoking terrorist acts or publicly glorifying terrorist acts”. 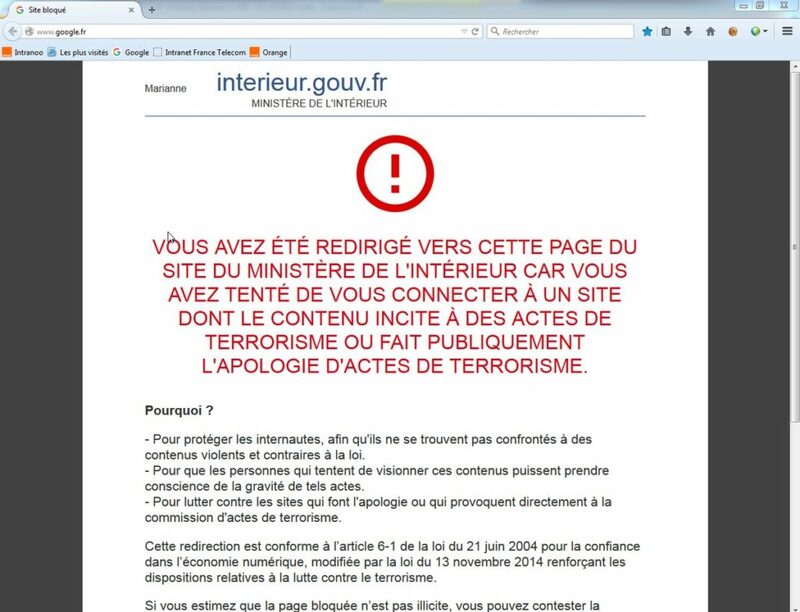 Orange declared that the websites had been added to the terrorism blacklist due to “human error”. Since the adoption of the law on terrorism in late 2014, and more precisely a decree of February 2015, the French police can order – without a court order or judicial control – the blocking of internet sites that support terrorist acts or groups. This measure was widely criticised, in particular because it could lead to over-blocking cases, and because the definition of the “glorification of terrorism” is more than vague. Some EU Member States are now seeking to export this concept to the European level. In the draft Anti-Terrorism Directive, the Council of the European Union introduced text to make the ”glorification and justification of terrorism” a crime, without providing a definition of what this might mean. This could lead to the Europeanisation of the collateral damage that is already happening in France, and which has just been proved to be, one more time, absurdly ineffective.